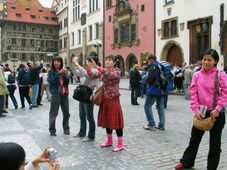 Czech hotels and other accommodation facilities saw a record number of tourists in May, the daily Hospodářské noviny reported on Tuesday. 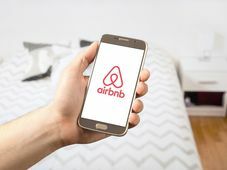 Photo: Tesa Robbins, Pixabay / CC0 According to newly released figures by the Czech Statistics Office, the overall number of tourists accommodated in hotels in May reached over 1, 365 000 people, the highest figure in history. It is an increase of 15.6 per cent on the previous month and of 4.2 per cent in annual terms. Over the first five months of this year, Czech hotels accommodated nearly 5, 526 000 people, which is 6.7 per cent more than in the same period of 2017. The biggest year-on-year increase in guest numbers, of 5.6 per cent, was recorded by four-star hotels, which accommodated around 867,000 tourists in May. The number of overnights stays in the Czech Republic has been increasing as well. In the period between January and May of this year, Czech hotels recorded 13.2 million stays. 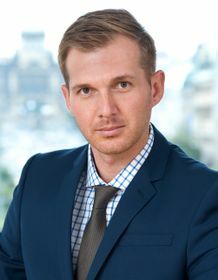 Jakub Stanislav, photo: Cushman and Wakefield Experts predict that the current growth rate will continue to last until the end of the year. Among the reasons behind the favourable development are cheap flights to the Czech Republic but also favourable prices for accommodation and other services when compared to those of other Western European cities. “Prague and other places in the Czech Republic have become popular destinations mainly for tourists from Europe, because it is cheaper than London or Paris,” Jakub Stanislav of the consultancy CBRE told Hospodářské noviny. “The tourists who currently come to the country in greatest numbers are very sensitive to prices. If the hotel owners decide to increase prices, the tourists will stop coming,” he added. 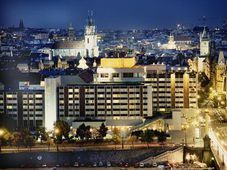 Czech hotel owners saw a record year already in 2017. 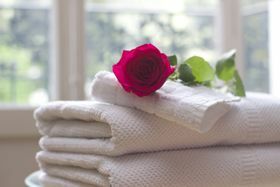 The overall number of hotel guests reached 14.2 million, and the number of overnight stays increased to 34 million. Foreigners made up over 60 per cent of all guests accommodated in Czech hotels. However, experts say the number of Czech guests will be increasing in the future, thanks to a booming economy, growing salaries and a weaker koruna.